With the help of Aztec Home Schooling it is possible for you to complete your High School education from the comfort of your own home! No matter what your age, if you have never graduated from high school with either your High School Diploma or GED, Aztec Home Schooling can help you reach this goal. Home Schooling is a great alternative to completing your high school education while being able to continue your busy schedule. No GED classes to attend or timed GED tests. Home schooling is completed from the comfort of your home and has no time limit for each subject or course. We ARE NOT an online school, your entire curriculum; books, materials and bubble sheets will be mailed to you USPS. Once the packet is received you may complete the materials as you have the time. AHS specializes in making your home school experience comfortable, easy and enjoyable. It's a known fact that a student who graduates from high school is more likely to be hired for professional jobs than someone without a diploma or GED. Register now and begin improving your opportunities. Once you graduate you'll also have the ability to continue your education in the college of your choice for even greater possibilities. Aztec Home Schooling will provide you with all of the necessary information, forms and curriculum so you may home school according to the laws in your state. Once successfully completed with your program a Home School High School Diploma accepted by major colleges, city/state jobs and the military will be issued to you. In addition, Aztec Home Schooling keeps all home school graduates records on file. AHS will send Official Home School Transcripts to any institutions requiring them. AHS will also complete any education verifications sent for job applications or military service. 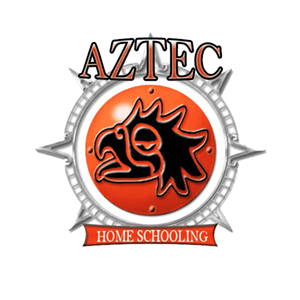 Aztec Home Schooling has your complete home school program from start to graduation and beyond. The completion of your high school education is a reachable milestone!!! "So excited about my package,can't wait to get it done right.....college is my next step:)"
"Definitely the best decision I made. I struggled 10 years with high school charter schools etc... I finished within 6 months. Now I'm able to finally move forward in life." "A positive step forward to me, while learning in the process. Thanks for giving me that positive move forward."